Originating in Paris, France over 25 years ago, Diner en Blanc is a globally-celebrated pop-up dinner party where guests dress in all-white. 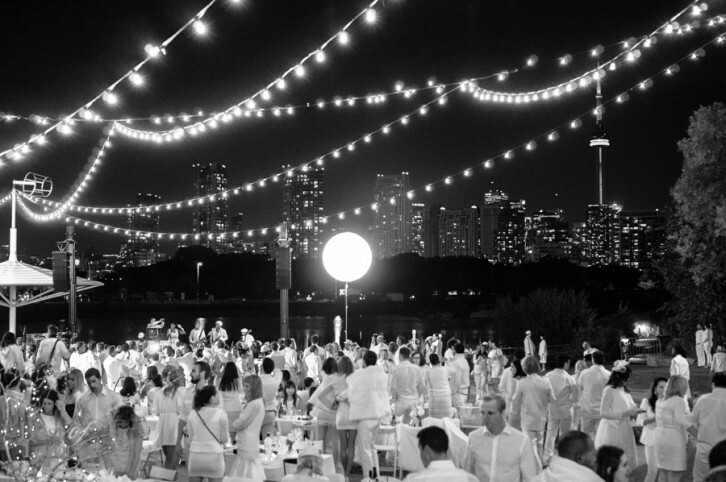 The 3rd annual Diner en Blanc in Toronto took place last night, September 18, 2014. 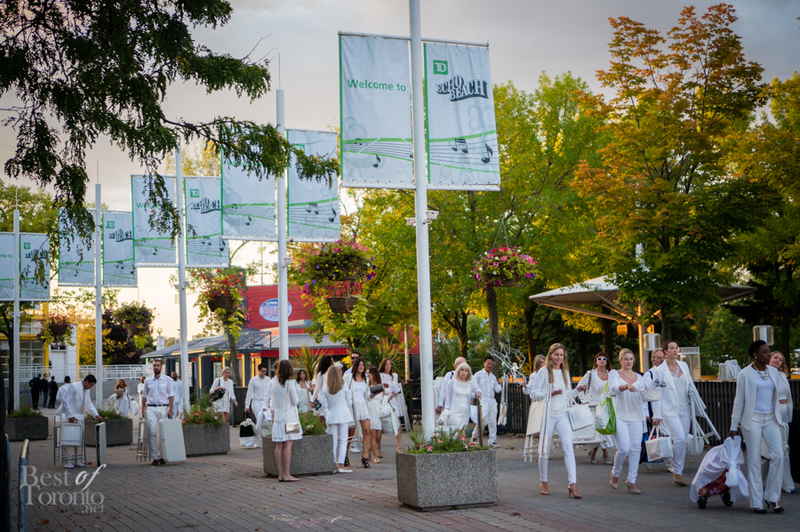 About 1,500 guests dressed all in white went to various meeting points across the city such as the ROM and Thompson Hotel to board coach buses which took them to the very secret location of the pop-up dinner. The location was revealed to be Ontario Place (Echo Beach) and it turned out to be a fine location for such a large operation. Guests arrived carrying their foldable tables, chairs, and decor greeted by dancing ballerinas. An elegant touch. The weather was very cooperative, considering how cold it has been lately, being relatively warm with clear skies and not a drop of rain. Guests had the option of bringing their own food as always in addition to meals prepared by Chef Bradley, Rock Lobster Food & Co, the Cheese Boutique, ChocoSol, Von Donuts, Ace Bakery among others. Wine was selected by Charlie’s Burgers. Here’s just some of the many eye-catching looks from last night. In the tradition of Diner en Blanc, the sparklers were all lit up for the beautiful occasion. And as usual guests danced the night away to the live musical entertainment. 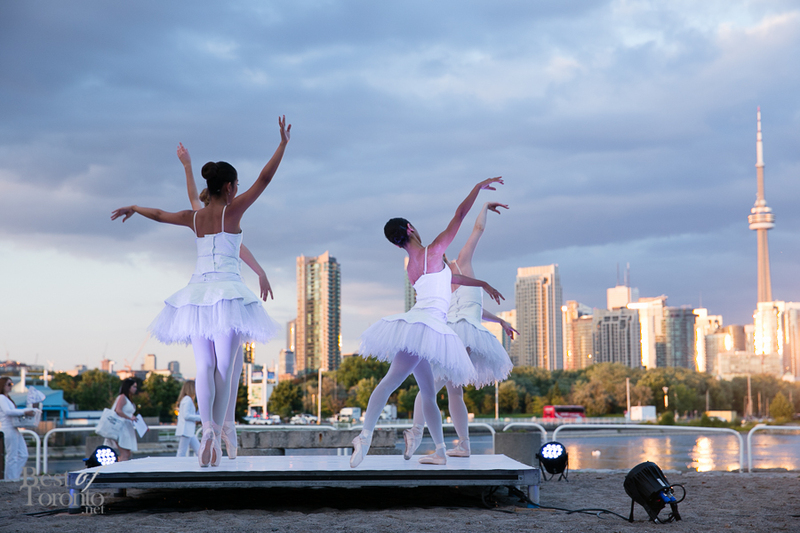 Having personally been to all previous Diner en Blanc Toronto events, this was definitely the best overall year for #DEBTO considering the weather and the venue with stunning skyline views by the water. Kudos to the organizers and everyone else! 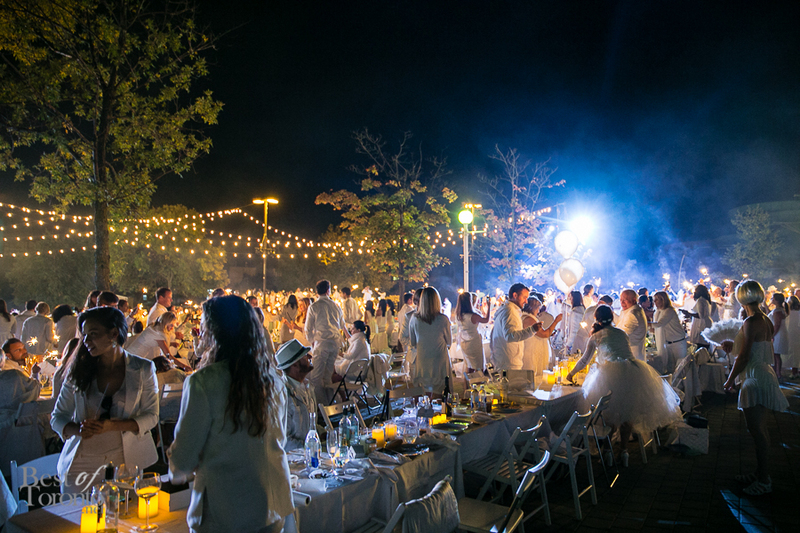 A quick walkthrough of Diner en Blanc 2014 by John Tan. 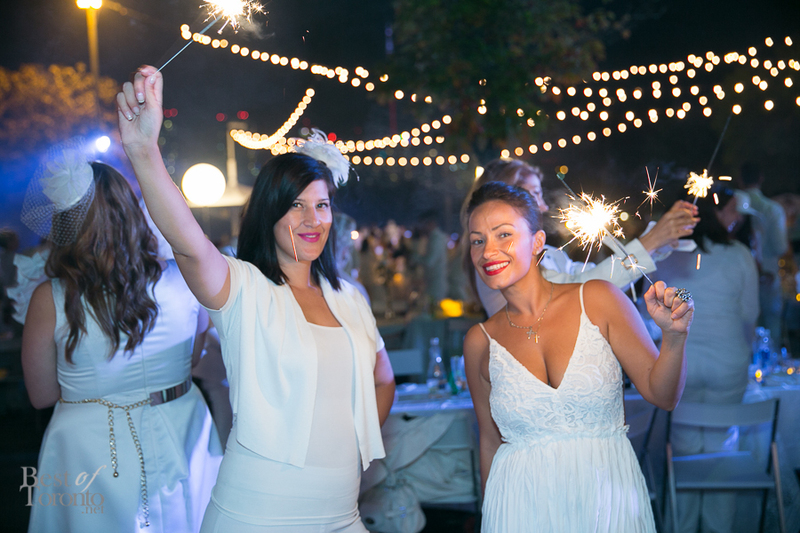 Also check out photos from Diner en Blanc 2013 and Diner en Blanc 2012. Upcoming: Canadian Opera Company's Operanation "Light Up the Night"